"That looks too dangerous for monkeys!" 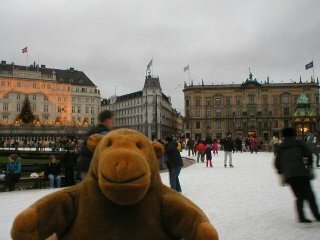 Before you get to Nyhavn you have to cross Kongens Nytorv, the King's New Square. At Christmas they have a temporary ice rink in the centre. 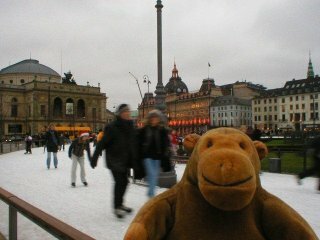 Mr Monkey decided against going skating, and his humans agreed.